Ruling on the skies means ruling the world. If are an inspired individual and want to have a control of ruling in space and have thirst of flying helicopters, you are on the real track to have this game in your smart device. 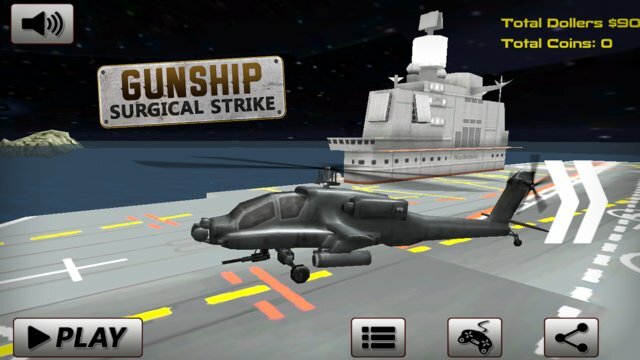 "Gunship Surgical Strike" is a Heli based action game that combines stunning 3D visuals with flight control simulation and engaging military scenes to pull you into a massive and decisive combat experience from the moment you play it. ★ 3D optimized flight control. ★ Multiple and different helicopters selection, each with unique control parameters. 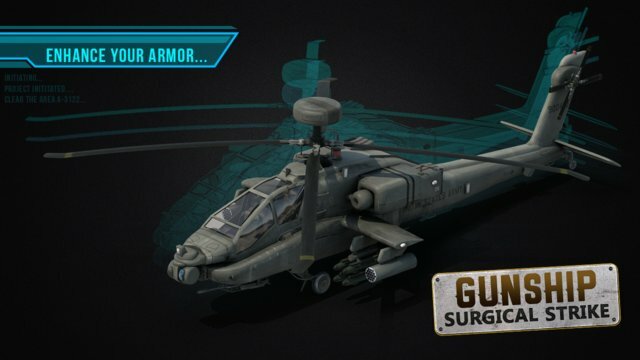 ★ Weaponize your chopper with a variety of massive weapons and scientific equipment. ★ Complete addictive missions with inspired real-life conflicts and combats. ★ Get challenged with addictive next mission. ★ Optimized for Various smart devices. If you enjoy FPS, shooting, racing games, or simulation games this is the option you were looking for. Have a real feeling of thrilling skies across intense crossfire.